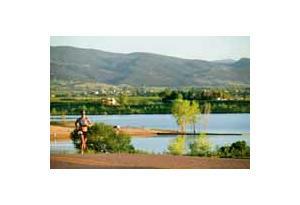 Kick off your summer at the Boulder Sunrise Triathlon! Boulder, CO is a triathlete’s paradise! With many pro athletes and Tri clubs attending, you’ll experience the best racing atmosphere around. You can work towards a new PR on this flat, fast bike course and enjoy views of the reservoir as you run at the water’s edge. This course makes the Boulder Sunrise a Colorado favorite, bringing triathlon clubs from all over the region to race at the notorious Boulder Reservoir. Enjoy the after-race party in the grass with music, views of reservoir, post-race food & beer. Plus, an awards ceremony on the stage with custom awards and prizes. Be sure to register early, as we are expecting this race to fill-up fast this year!